Amphora Aromatics kindly offered to send me one of their new Organic Originals Gift Boxes priced at £24.95 + P&P to try out and they have also kindly offered one lucky winner the opportunity of an Organic Originals Gift Box all of their own. Organic Rose & Pomegranate Hand Wash 250ml – This gentle hand wash is made from 96.40% organic ingredients and is lightly fragranced and not overpowering. The rose and pomegranate together give a floral yet fruity aroma which is fresh and calming. Ingredients: Aqua, Potassium Oleate*, Potassium Cocoate ***, Glycerin****, Pelargonium Graveolens Flower Oil*, Rose Damascene Flower Oil*, Punica granatum Fruit Extract*, Potassium Citrate, Potassium Palm Kernelate, Alcohol Denat*, Palm Kernel Acid, Sodium Chloride, Geraniol, Citronellol, Linalool, Citral, Limonene. Organic Rose & Pomegranate Shower Gel 250ml – This gently fragranced shower gel is made from 80.42% organic ingredients and foams up well for the shower in the morning. With the moisturising properties of Organic Rose Otto and Geranium and the antioxidant properties of Pomegranate, this is a great morning pick me up. Ingredients: Aqua, Potassium Cocoate***, Potassium Oleate*, Lauryl Betaine, Glycerin****, Pelargonium Graveolens Flower Oil*, Rose Damascene Flower Oil*, Punica Granatum Fruit Extract*, Benzyl Alcohol, Potassium Palm Kernelate, Palm Kernel Acid, Decyl Glucoside, Alcohol Denat*, Potassium Citrate, Sodium Chloride, Geraniol, Citronellol, Linalool, Citral, Limonene. Organic Rose & Pomegranate Body Lotion 100ml – This light, easily absorbed body lotion is really lovely to use. It leaves skin soft and nourished and has 89.96& organic ingredients. Ingredients: Aqua, Helianthus Annus (Sunflower) seed Oil*, Butyrospermum Parkii (Shea Butter)*, Coco-Glucoside and Coconut Alcohol, Theobromacacao (Cocoa) Seed Butter Glycerin*, Glyceryl steareate, Sucrose Stearate, Pelargionium graveolens flower oil*, Rose Damascene Flower Oil*, Punica Granatum Fruit Extract*, Vanilla Planifolia Fruit Extract*, Olea Europea (Olive) Fruit Oil*, Aloe Barbadensis Leaf Juice Powder*, Phenoxyethanol, Potassium Sorbate, Tocopherol, Xanthum Gum, Alcohol Denat*, Lactic Acid, Benzyl Alcohol, Geraniol, Citronellol, Linalool, Citral, Limonene. Organic Rose & Pomegranate Lip Balm 15ml – This lip balm is a lovely soft balm consistency and can be used on cuticles, rough elbows as well as lips. It’s a great lip balm to use at night and has 99.80% organic ingredients. Ingredients: Helianthus Annus (Sunflower) Seed Oil*, Butyrospermum Parkii (Shea Butter)*, Cera Alba*, Pelargionium Graveolens Flower Oil*, Rose Damascene Flower Oil*, Punica Granatum Seed oil*, Simmondsia Chinensis (Jojoba) Seed Oil*, Calendula Officinalis Flower Extract*, Tocopherol, Geraniol, Citronellol, Linalool, Citral, Limonene. Organic Rose & Pomegranate Face Cream 60ml – This face cream is easily absorbed into the skin and would best suit normal to dry skin types. It leaves skin soft and well hydrated and includes 90.89% organic ingredients. Ingredients: Aqua, Helianthus Annus (Sunflower) Seed Oil*, Butyrospermum Parkii (Shea Butter)*, Cera Alba*, Theobromacacao (Cocoa) Seed Butter Glycerin**, Glyceryl Steareate, Sucrose Stearate, Coco-Glucoside,Sucrose Stearate, Coconut Alcohol, Olea Europea (Olive) Fruit Oil*, Linum Usitatissimum (Linseed) Seed Oil*, Phenoxyethanol, Pelargionium Graveolens Flower oil*, Benzyl Alcohol, Xanthum Gum, Potassium Sorbate, Lactic Acid, Aloe Barbadensis Leaf Juice Powder*, Tocopherol, Alcohol Denat*, Vanilla Planifolia Fruit Extract*, Punica Granatum Fruit Extract*, Rose Damascene Flower Oil*, Geraniol, Citronellol, Linalool, Citral, Limonene. 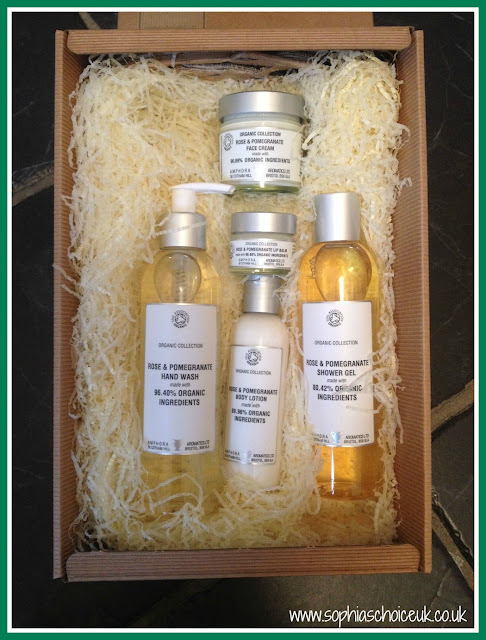 This organic gift set would make a lovely gift for someone special but particularly for someone who is starting their journey with more natural bodycare products. Amphora Aromatics have other gift sets available. You can find out more here. To be in with a chance of winning this gift set, all you need to do is enter using the Rafflecopter widget below. This competition giveaway will run until midnight on 26th November and is open to UK residents only. The winner will be chosen at random using Rafflecopter. Amphora Aromatics will post out the winners prize direct. The winner will be announced on the blog, on Twitter and on Facebook. No cash alternative given. 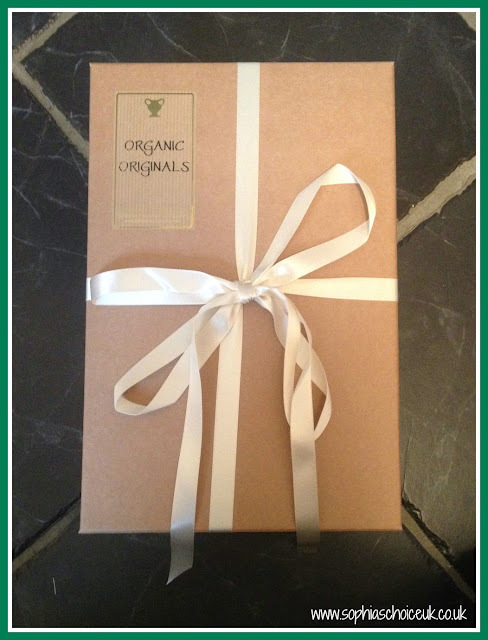 who is the lucky winner of the Amphora Aromatics Organic Originals Gift Set ! 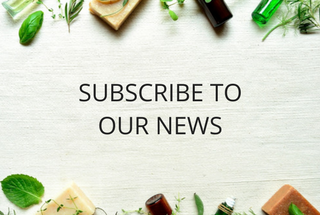 Disclaimer: I was kindly given an Organic Originals Gift Box from Amphora Aromatics to try out in addition to the prize being provided for the lucky winner. All opinions are my own. I would keep it for myself as it looks lovely thank you! I'd give it to my Mum!! I would give this set to a hardworking friend for she is always on the go and deserves some me time. I would give this to my mum for her to use once she pop's out baby number 9! I'd give it to my daughter so that she could have a well deserved pamper. I would be tempted to keep for myself, but I think I would gift it to my sister who deserves some pampering after a rough year. Thanks. My daughter would love this and I'm sure she would share it. I would give it to my Mum. She has been unwell lately, and could do with chearing u.
I would definitely give it to my Mum. She's been through such a lot and I intend to spoil her rotten this Christmas! Definitely my Mum who is spending her first Christmas in a nursing home - she's always loved quality products like this. would love to keep it for myself but I think my mum deserves it more than me. She has had a tough year and deserves a treat. I'd give it to my Mam, she deserves a treat! I would keep it for myself - a brand I would love to try. Could I keep it? It looks lovely! I think my mum would absolutely love it. I would give it to my big sister! .. I love Amphora Aromatics , I used to be an Aromatherapist and I always used their oils. Either my mum or myself! One of my best friends/ She has suffered so many different things and is still a beautiful and empathetic person. Because of physical conditions she can not get out much but does all she can. She is also a wonderful mum and nanny. I would love to treat her to little relaxing sensual things like this. this would be a gift to myself, need to star to take care of my skin. I'm afraid this would be for me... It looks gorgeous and just what my skin needs! Oooh I'd have to keep this for myself. I'd give it to my mum- she's supported me through a really stressful time recently and i'd love to say thankyou in more than just words! I'd give it to my mum, she could do with some pampering!! I'd share it with my daughter, it looks lovely. I had to take the question mark from the end of your tweet for it to go through - was one too many initially. I'll be honest & say I'd keep it for myself! 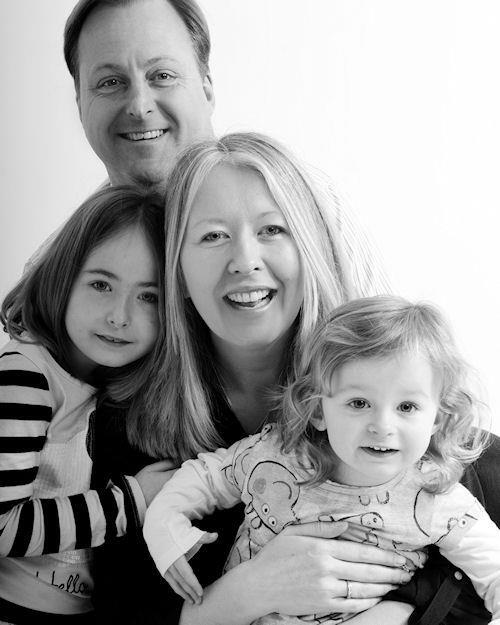 My mum really deserves some relaxation and indulgence this year (much like most mums!) so I would give this to her as a christmas treat! Would keep it for myself, but OH helps himself to some of my beauty goodies, so it would be shared anyway! I think I would keep it, it sounds gorgeous!! I would give it to my lovely daughter-in-law for giving me five wonderful grandchildren. I'd be tempted to give it as a gift to my sister, but would probably keep it for myself! I'd give it to my wife. I would give it to my daughter-in-law, my best friend! I'd give it to myself.. I need it! A keeper .. For me. I would give it to my mum, she would love it. I would totally sneak it off for myself.